I'm only posting a short/quick post today because I'm quite tired and exhausted. 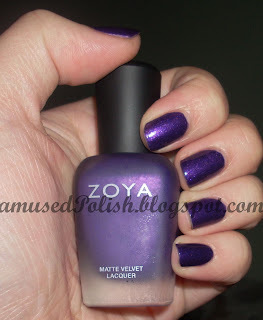 So here it is: Zoya Savita with a Topcoat, somehow I can't bear myself to wear it matte all the time. The pictures show two coats and I didn't had any issue with either the brush, formula or drying time. The last one was really good because like most mattes, it dries really quickly and I love to watch it dry ^^. 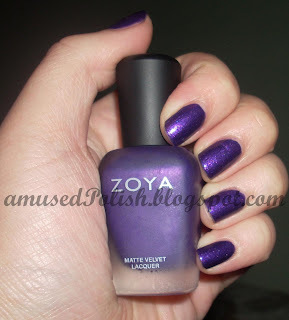 Lissa's Nails is hosting a giveaway :D Click here to enter and for more details. OMG I love it!! Beautiful purple need to get my hands on this one.